From Thursday, Nov. 15 to Sunday, Nov. 18 the St. Jacob’s Sparkles market was held. Attendees were able to get into the holiday spirit with their annual magical event taking over the entire main street. About a 14-minute drive from the Laurier campus, this event was not one to miss. My condolences if you did, there is always next year! While attending the festivities, I was filled with endless joy. 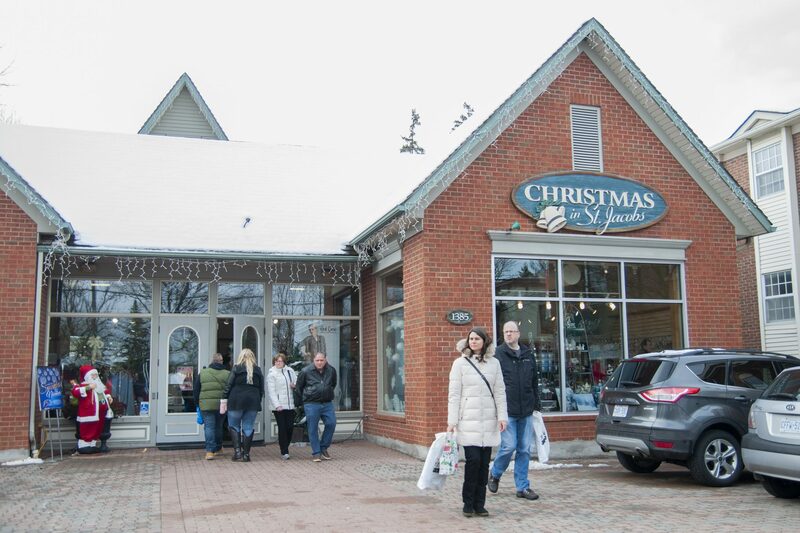 Living in Toronto, I have been a long-time supporter of the Distillery Districts Christmas Market, which made my expectations for St. Jacobs very high. Let me just say that my expectations were nowhere near disappointment, making the cold weather a little less cold. Since leaving, I can confirm that I have only been listening to Christmas music on repeat. Decorations and lights put a sense of magic in the air. Unfortunately, the festivities have wrapped up for another year by the time you will be reading this article. Being more of a secluded farm community, St. Jacobs was a perfect location for the market. For the duration of the market, the free activities were endless. Some activities included Victorian carollers, horse-drawn trolley rides and a visit with Santa Claus. Many shops had lots of promotions for the duration of the market, including a storefront that I was in absolute awe of. This is a good way to support your local community and get your holiday shopping started early to beat the rush. Promotions included all types of holiday-themed items which made for special and unique gifts that you can’t find anywhere else. I decided to try out the Burn Barrel and I considered going back for seconds, but unfortunately it was only while supplies lasted. The crisp taste of the cider hit the spot on a chilly day and helped me to stay warm while I walked around. The sense of community the festivities offered was inspiring — it’s nice to see such a busy crowd in an area which does not typically drive lots of traffic given its secluded location. A place for children, families and adults finding their inner-child made for a memorable time. No matter what festivities you and your family celebrate over the holiday season, it was still a perfect event to attend to alleviate the stress that this time of the year can bring. However, I suggest attending this next year if you have the chance as it is a long-standing tradition. If you are still interested in checking out St.Jacobs, decorations will continue to be up and will still be worth your trip.